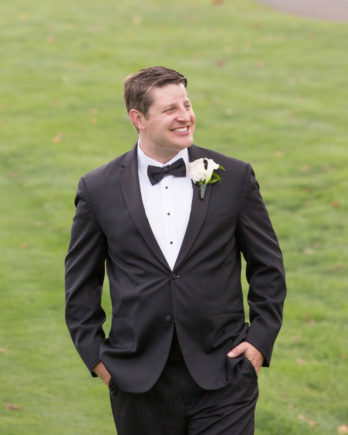 Happy Wednesday everyone! 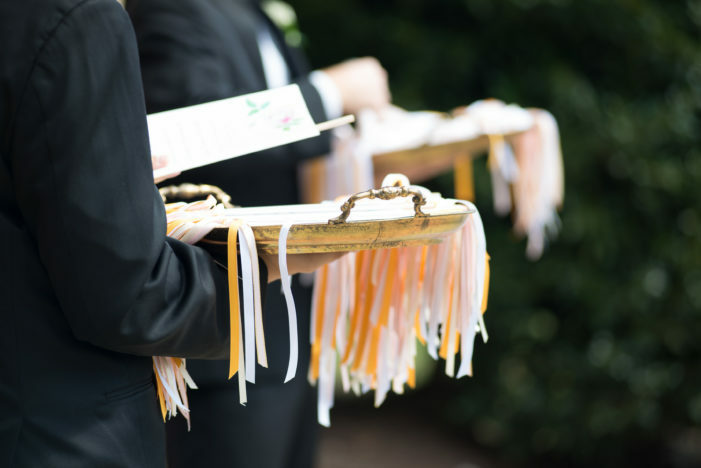 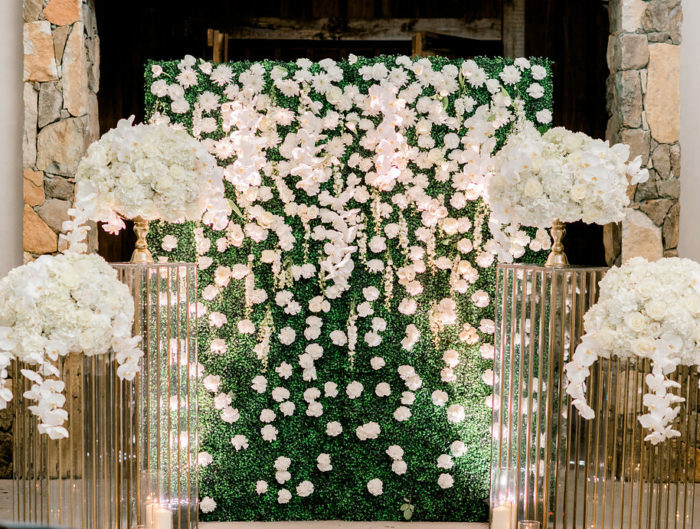 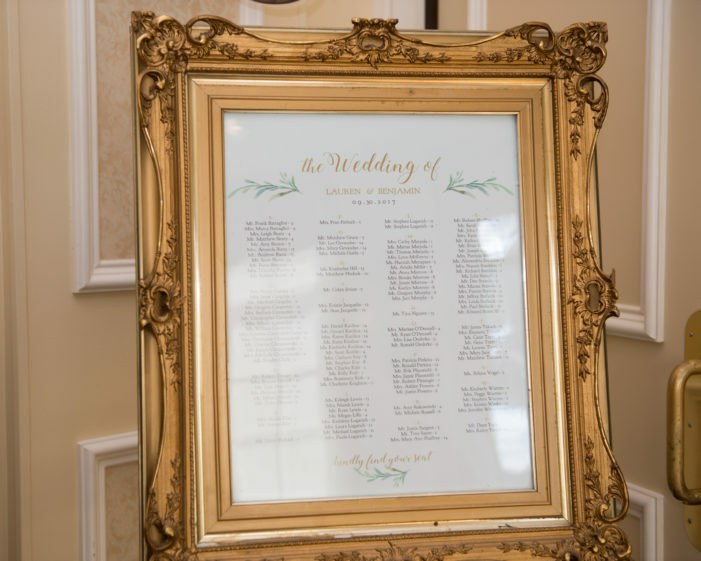 Are you ready for a beautiful mid-week Maryland wedding? Ben and Lauren first met at an after-work happy hour at a restaurant in Bethesda, MD. 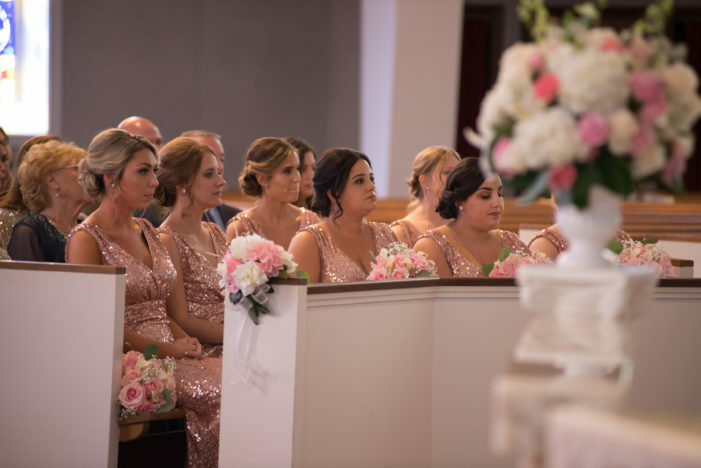 The two sat at opposite sides of the table and kept making eye contact throughout the evening. 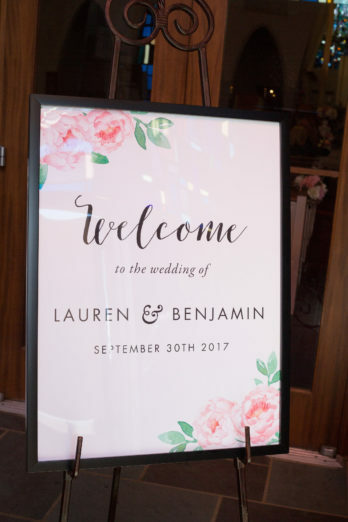 Finally, at the end of the happy hour Ben made a move. 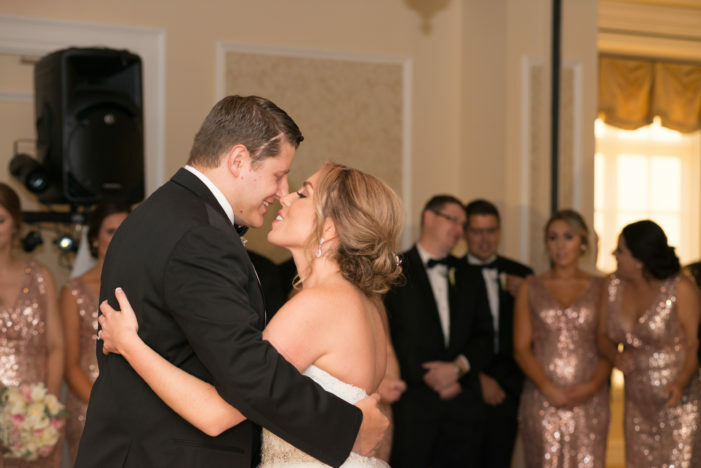 He headed down to Lauren’s end of the table and they just instantly connected. 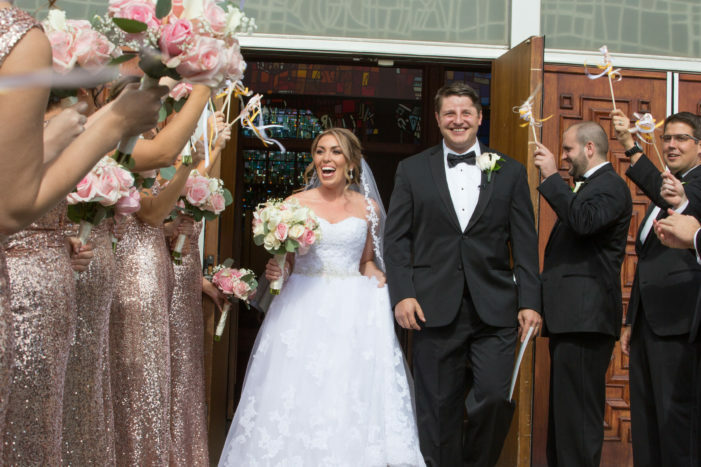 A few days later, they had their first date! 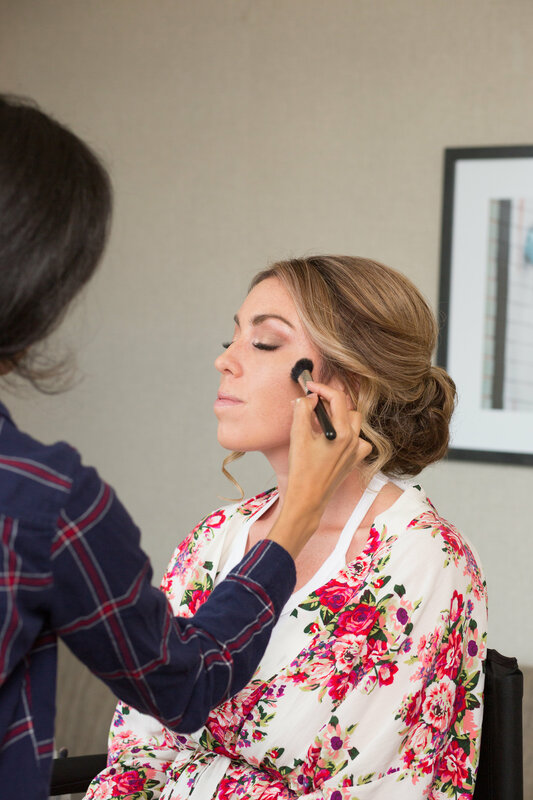 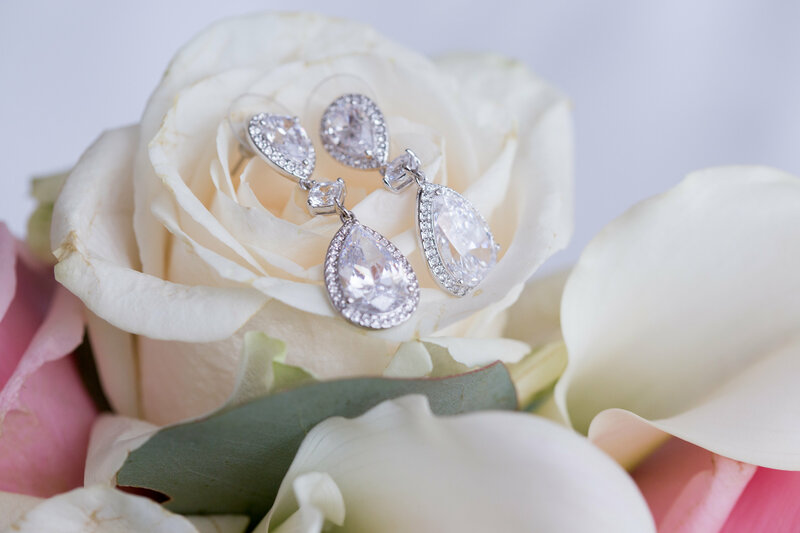 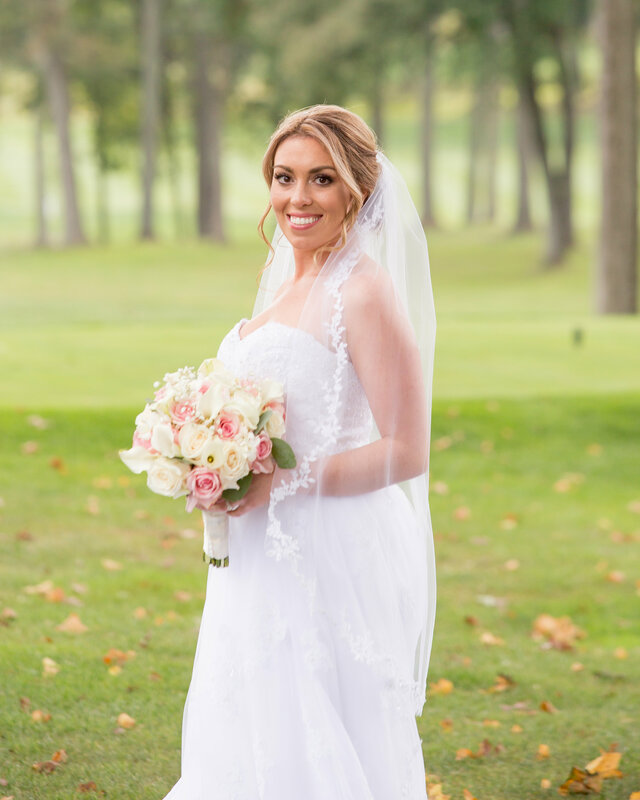 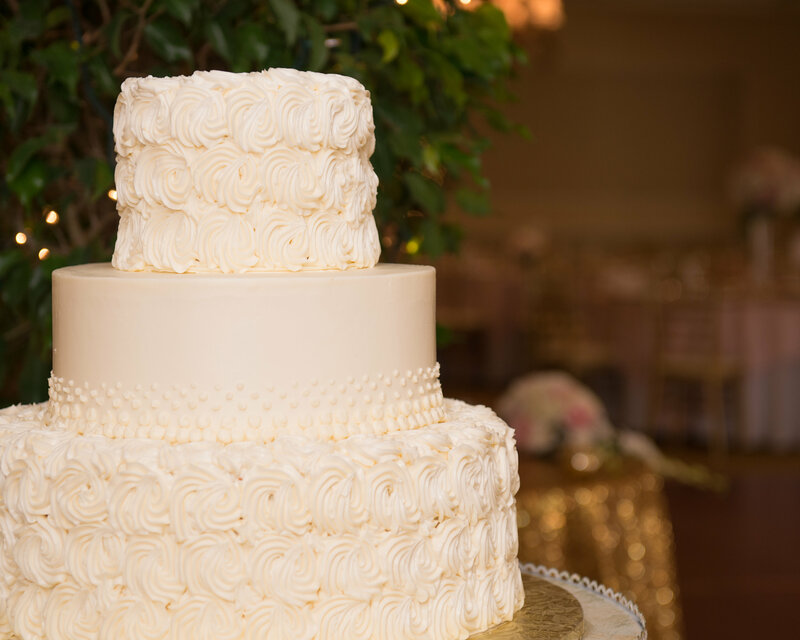 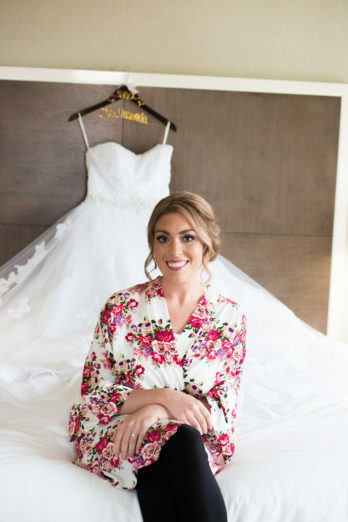 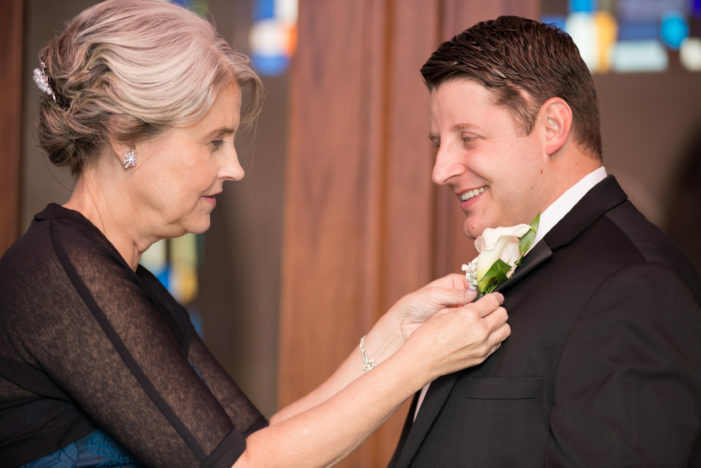 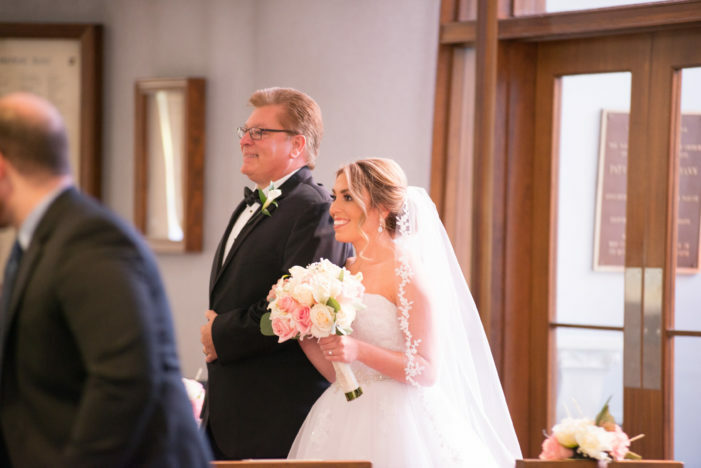 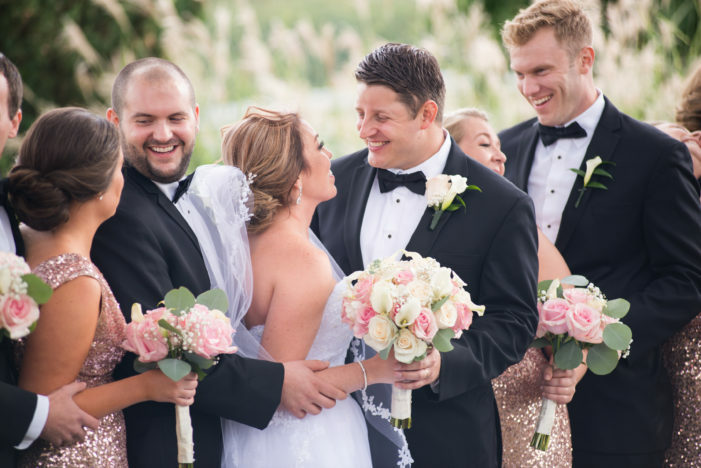 Thank goodness Ben worked up the nerve to go talk to Lauren because they the two of them produced a beautiful Manor Country Club wedding, photographed by Jenna Davis Photography. 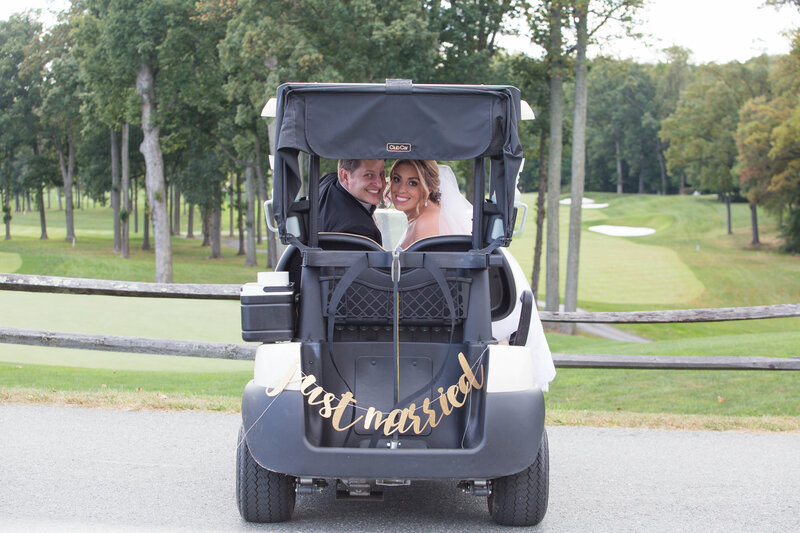 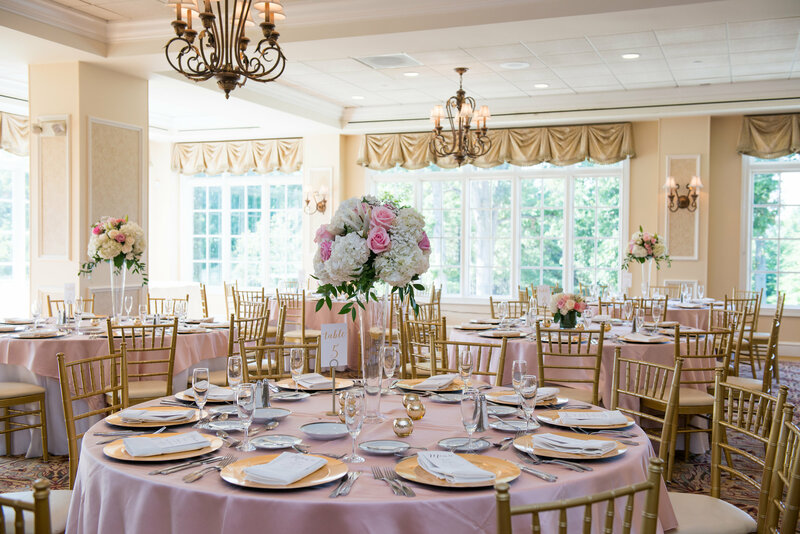 Lauren & Ben visited many, many wedding venues before they found their perfect venue in Manor Country Club. 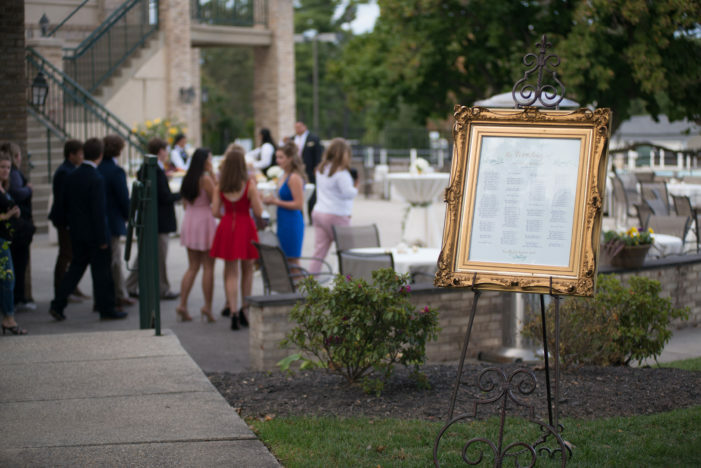 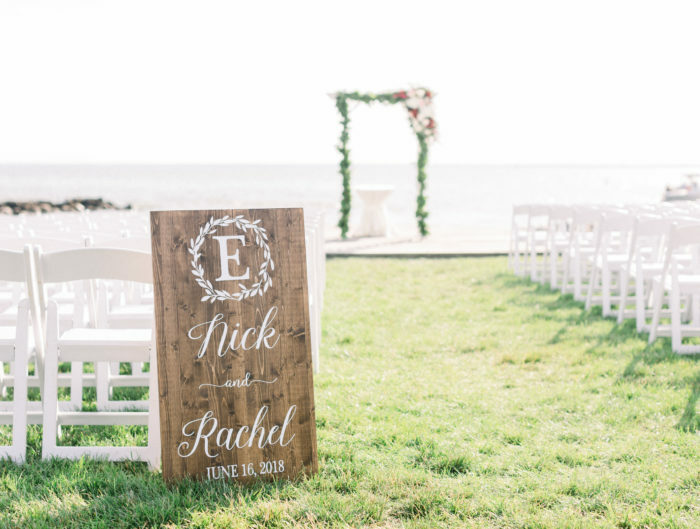 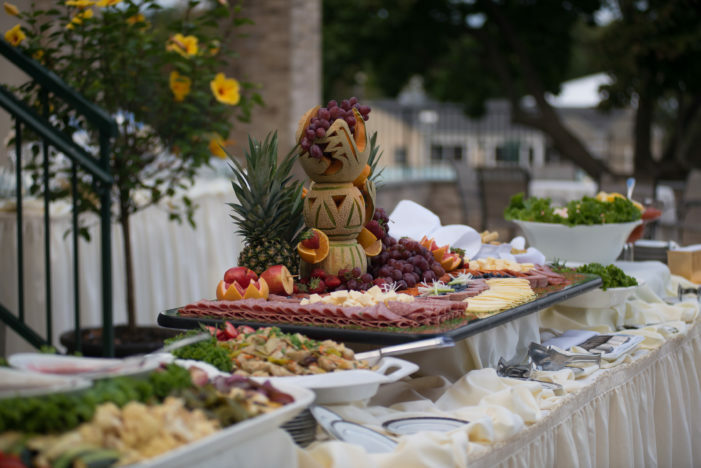 They knew they were looking for specific things; they wanted a venue that would allow for beautiful outdoor pictures and outdoor cocktail hour with ample indoor space. Indoors they would need space for dinner, dancing, and a photobooth! 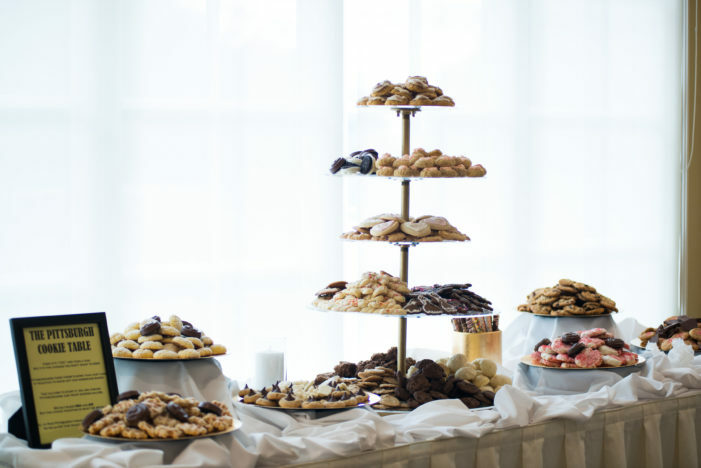 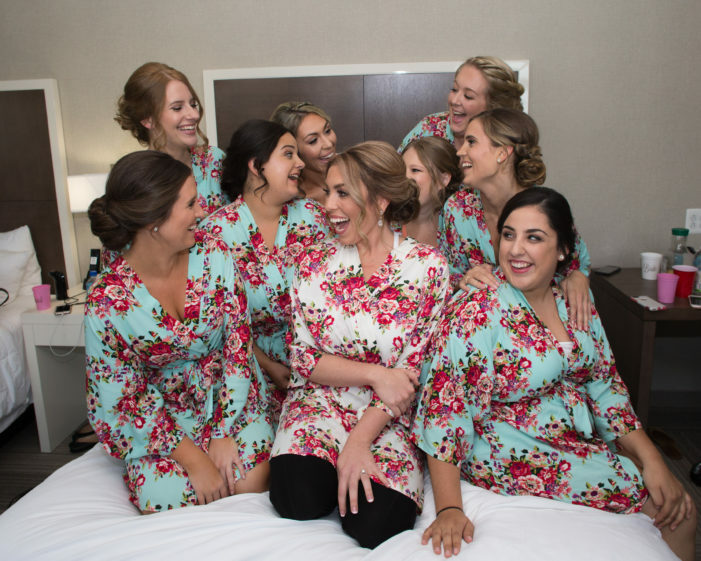 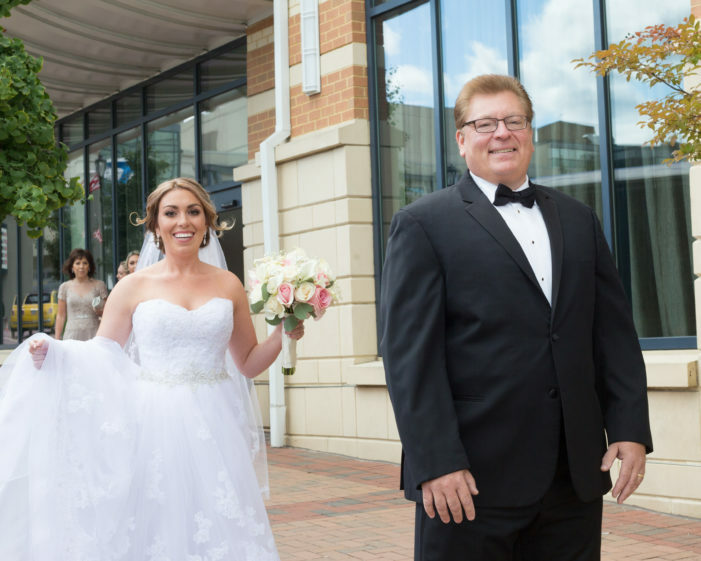 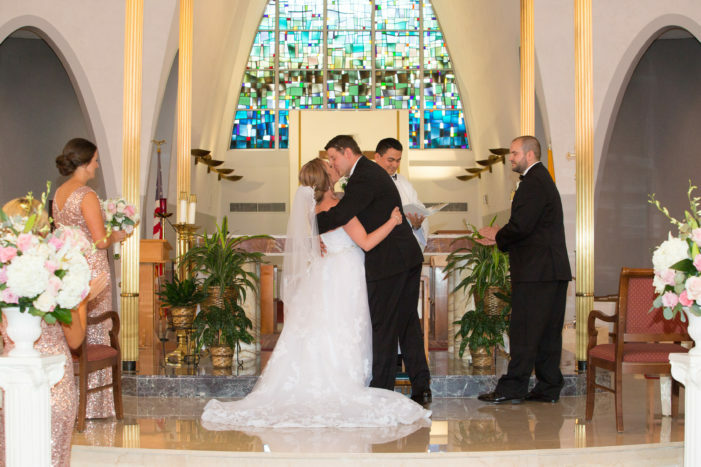 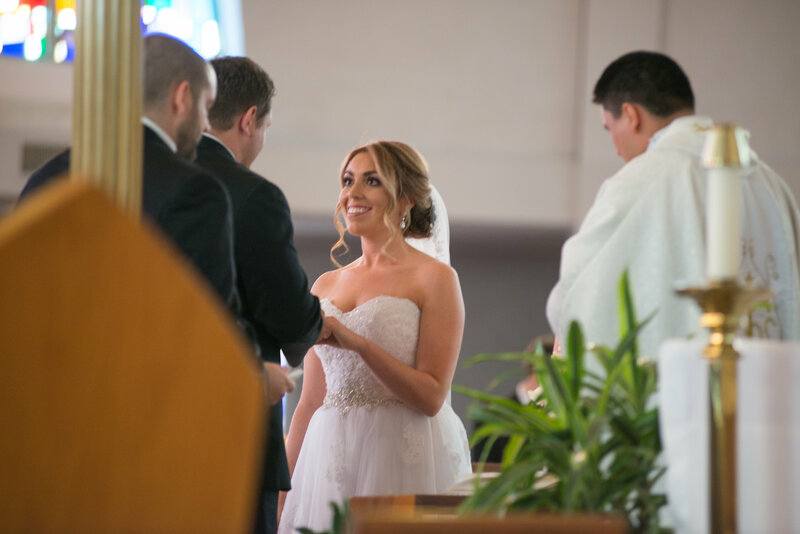 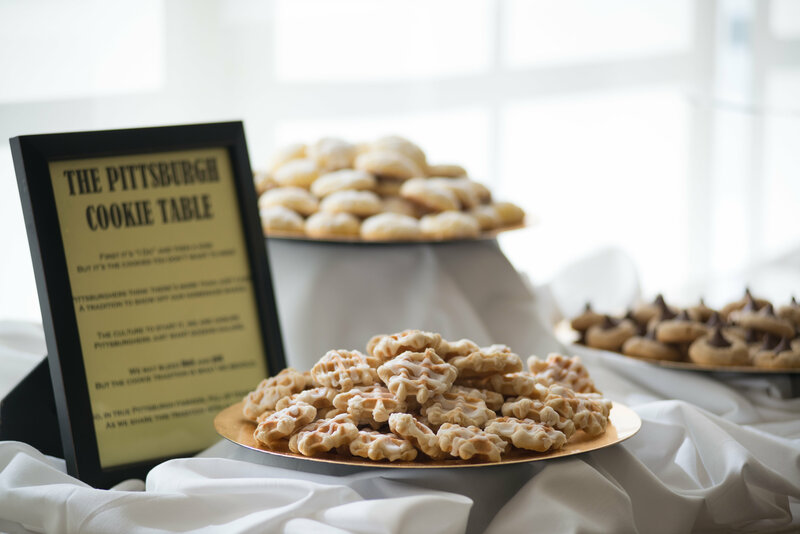 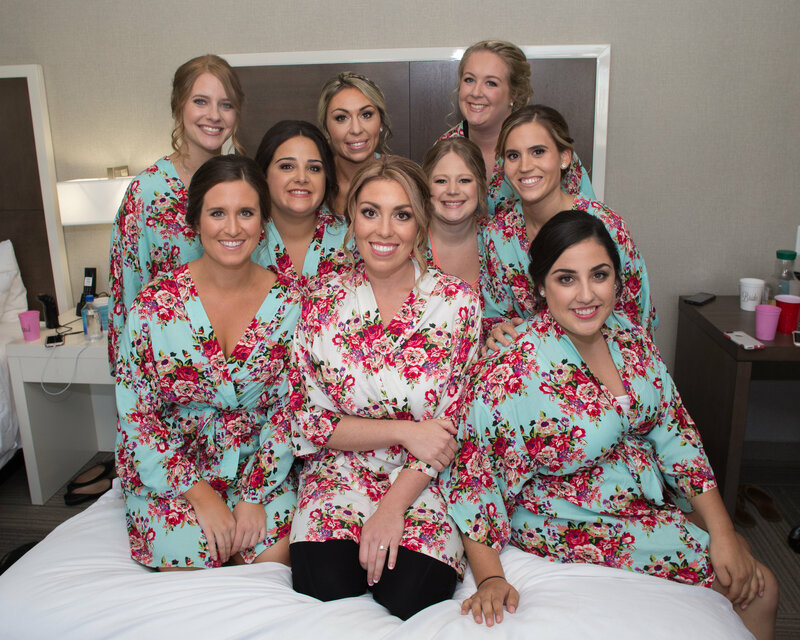 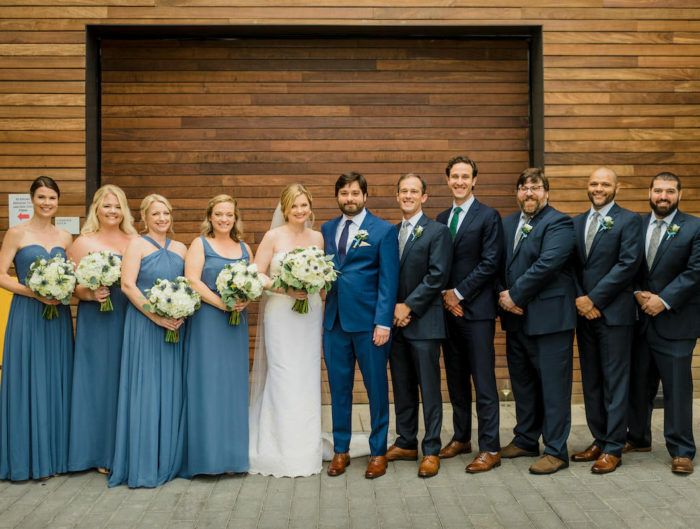 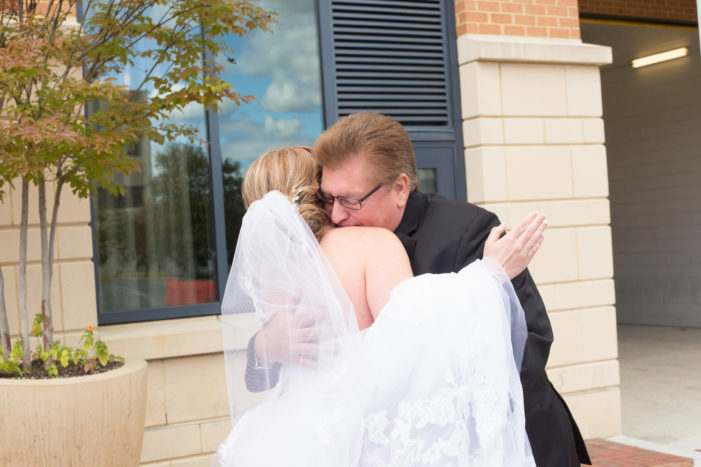 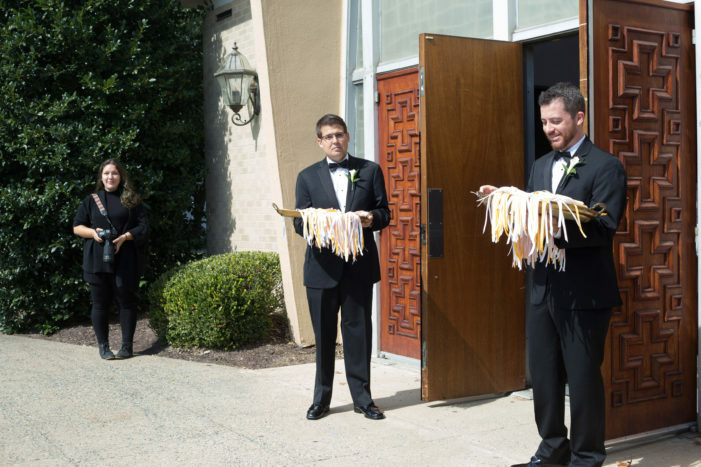 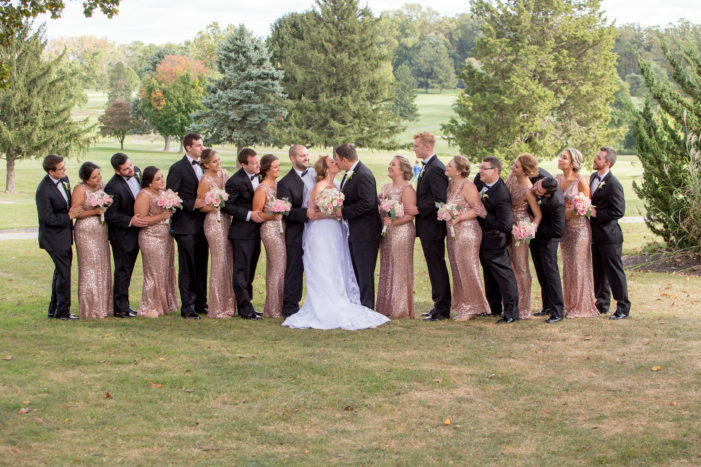 Both had family and friends traveling in from around the East Coast, mainly New Jersey and Pittsburgh; it was an added bonus that reception venue and church were just minutes from downtown Rockville and the newlywed’s home. 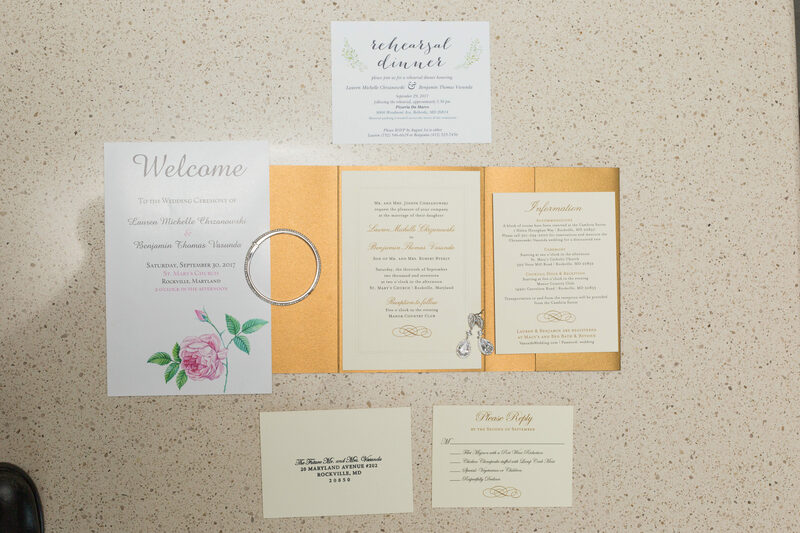 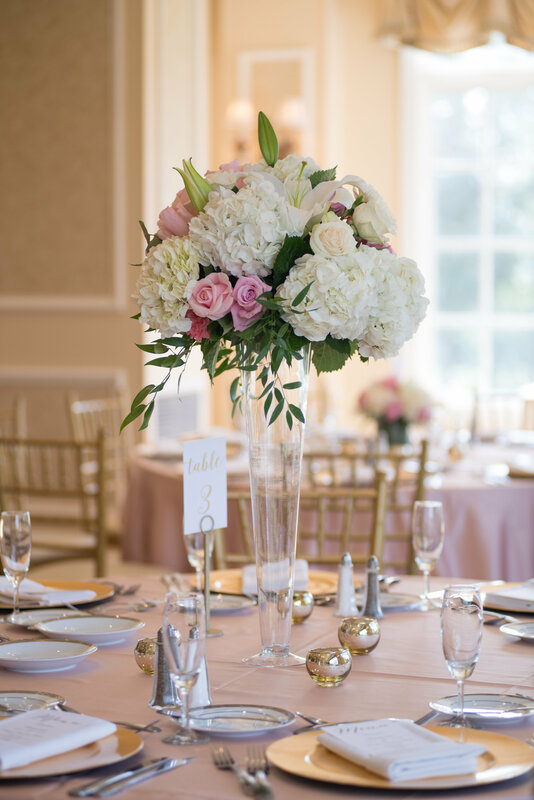 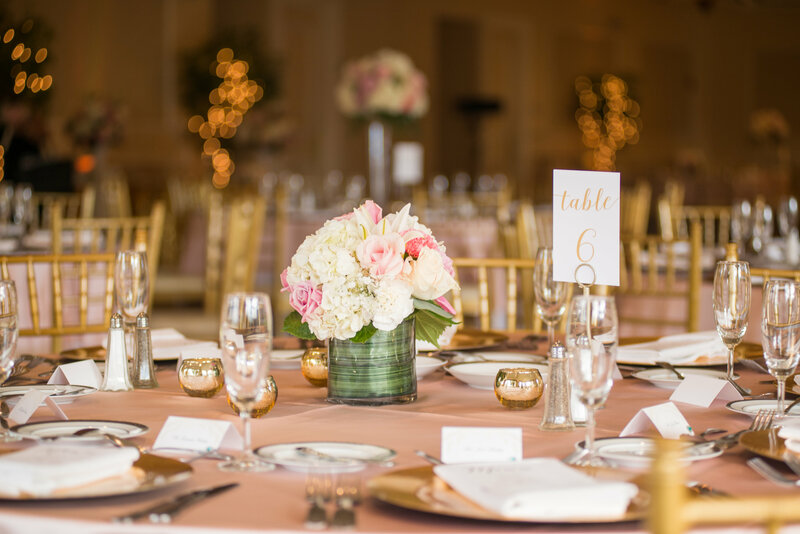 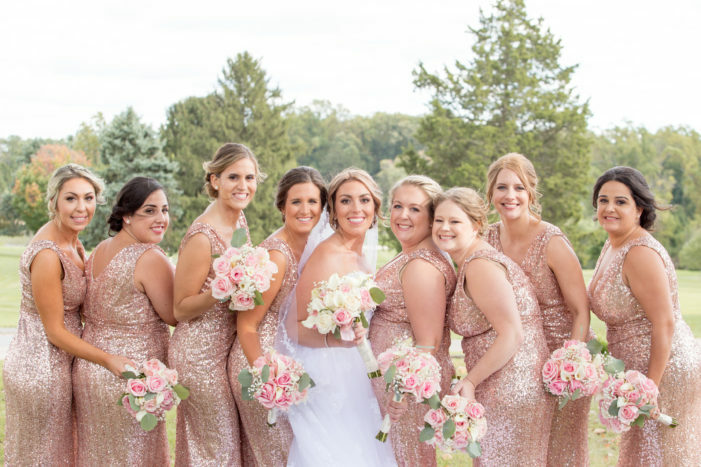 Lauren picked a soft, romantic color palette of blush and cream with an abundance of gold accents. 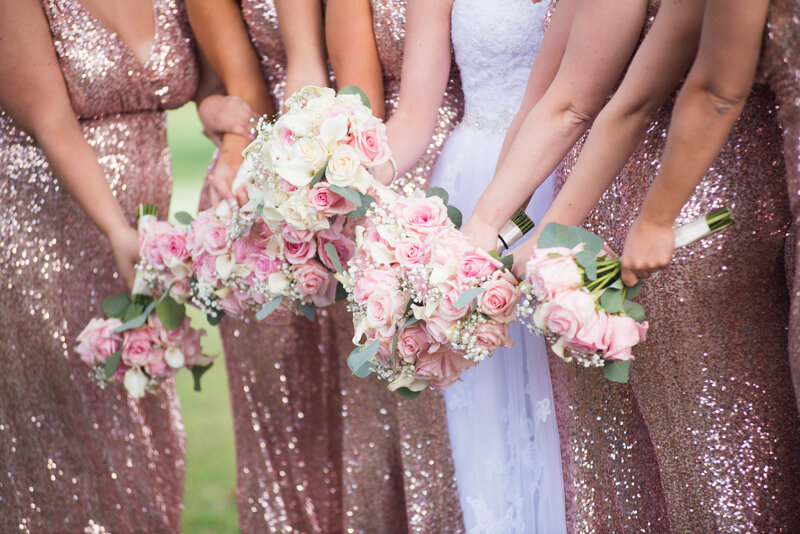 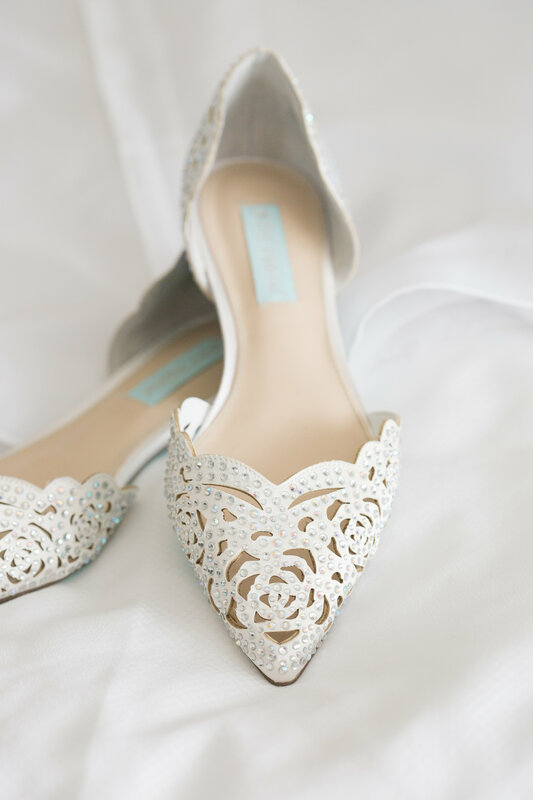 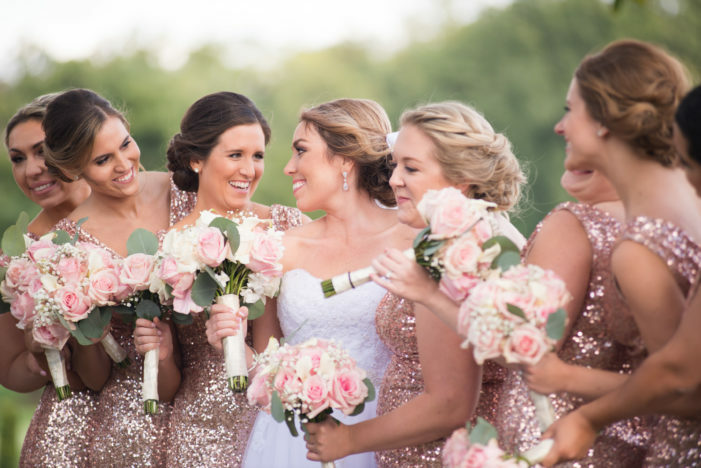 Her bridesmaids wore gorgeous sequin dress, that added the perfect touch of glam. 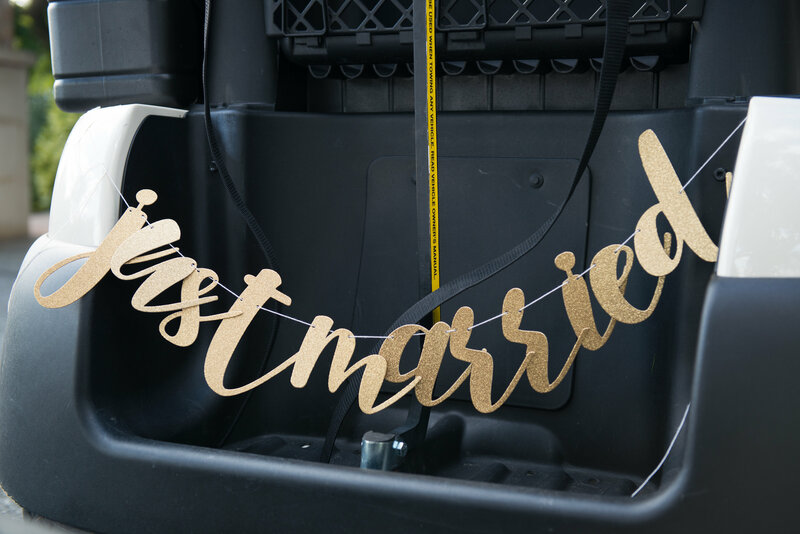 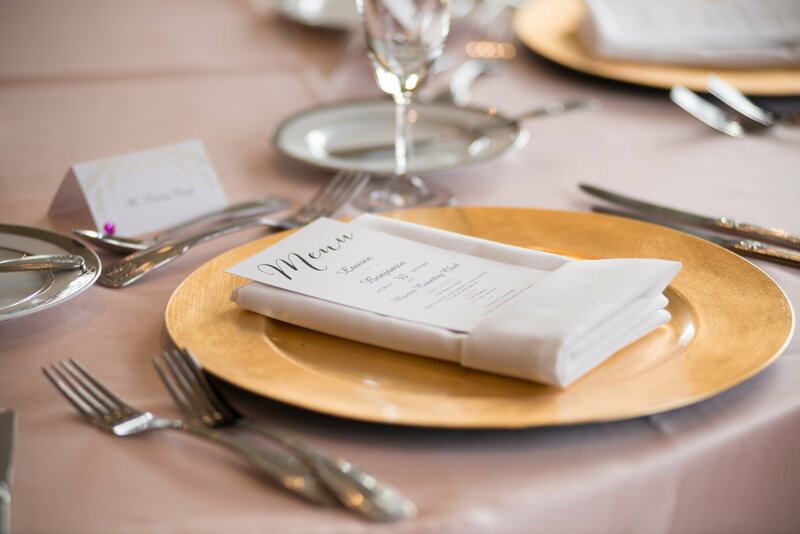 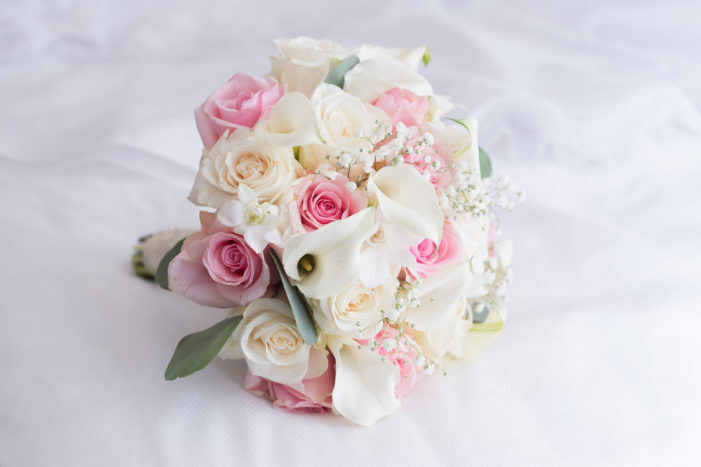 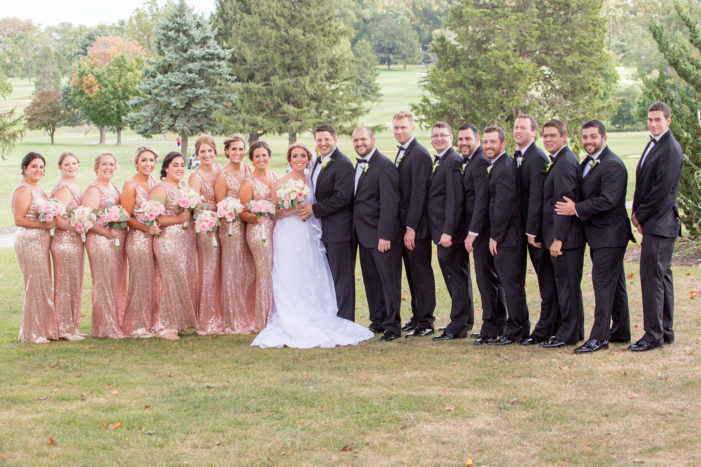 Thank you to SRS Events for sharing this gold and pink wedding with us via Matchology! 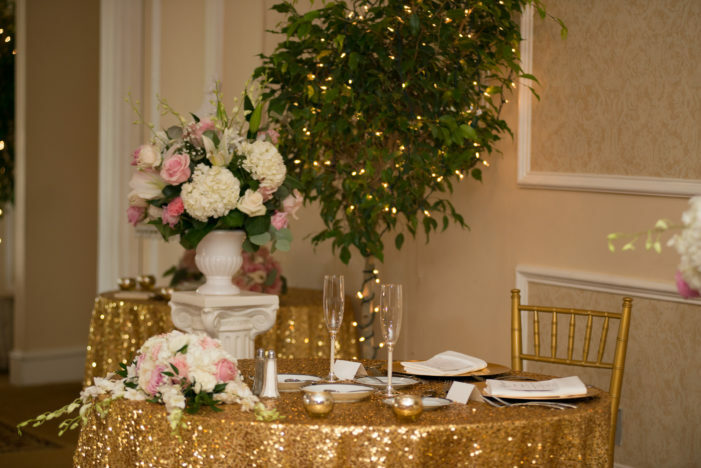 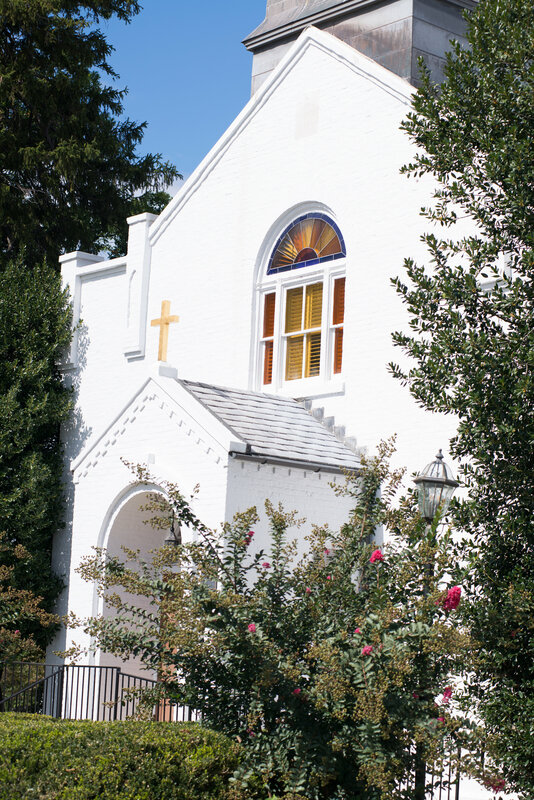 For more wedding vendors, please visit our Washington DC area wedding vendor guide. 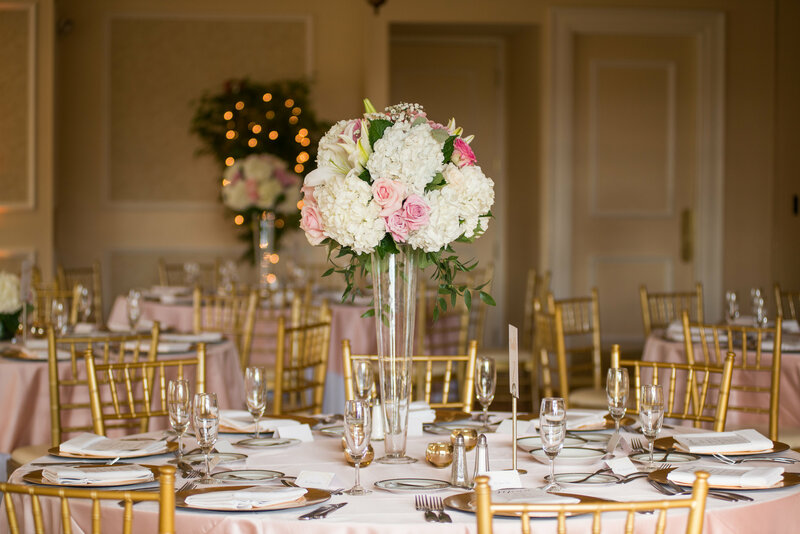 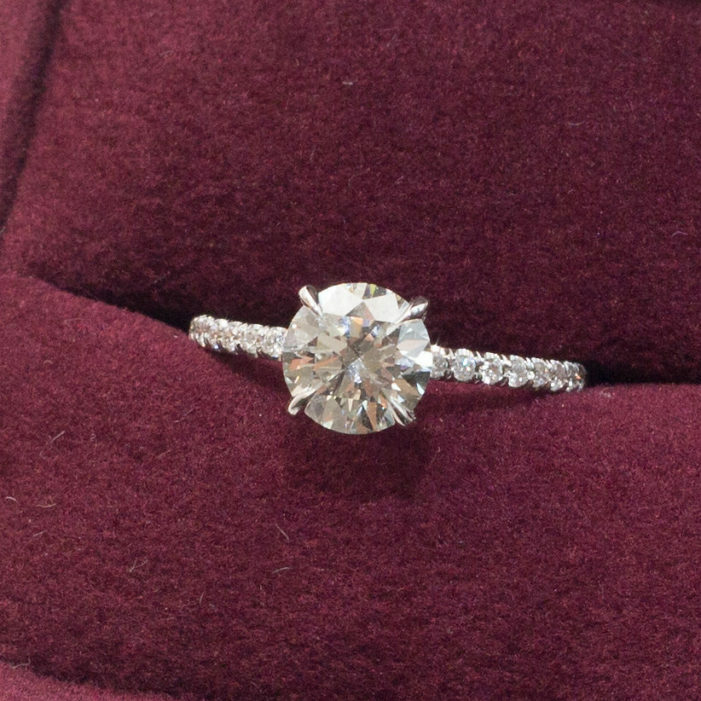 For additional local ideas, check out our wedding inspiration galleries and other Washington DC area real weddings.